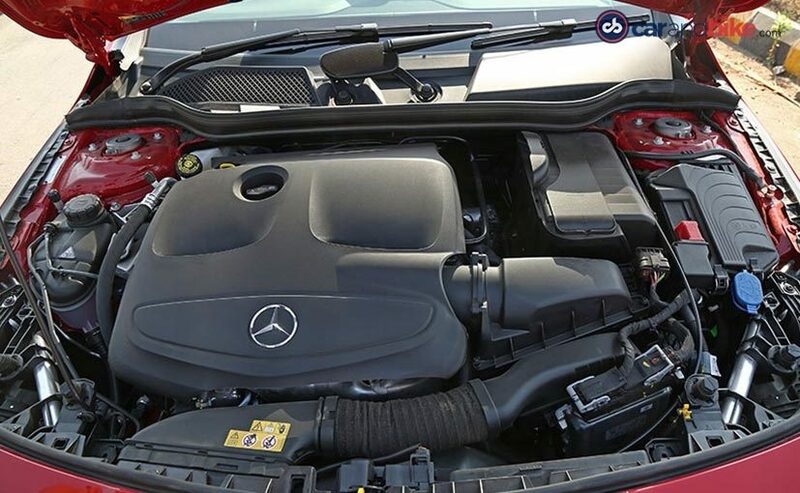 The Mercedes-Benz CLA stormed into the world automotive scene as an affordable sedan from the German automaker for everyone who wanted something that had a prestigious badge, was affordable and yet, looked a million bucks! Not only did it make the 4-door coupe styling affordable for a whole generation of buyers that would have normally chosen something else, the CLA also was pretty much one of the best looking 'mass-market' cars you could buy. In India, the CLA went straight up against the Audi A3 and these two cars have had the segment all to themselves. Of course, every car needs a bit of a refresh every few years and that is exactly what Mercedes-Benz India has done too. But, if you expect this to be a noticeable difference, you might be disappointed. The new bots on the CLA really have to be noticed and to the layman, are quite miss able. The car does get a set of new headlights and although there is a change in the design, the important bit is the tech it now uses. As with almost every luxury car today, the CLA now gets an all-LED setup with updated daytime running lights too. The front bumper also receives a thin chrome lip on the bottom that lends a luxurious look. As with the front bumper, the rear bumper too has a chrome accent strip and a set of slightly updated set of exhaust tips. The tail lamps too have received a slight update in terms of the lighting pattern. Apart from that, the CLA is pretty much identical with even the same set of wheels that the older car had. You can opt for a set of slightly nicer looking optional wheels, which we would strongly recommend. On the interior front, it is still pretty much business as usual on the design front. You still get the turbine style AC vents taking up centre stage and the freestanding screen. The screen though is slightly larger at 8-inches as compared to the older 7-inch screens. The infotainment system now also gets Apple CarPlay and Android as a standard feature along with a sunroof/panoramic roof combo as standard on all variants. The dashboard also gets a new silver panel with a 3D design that at first glance seem to be textured. Combined with the brushed finish on the AC vents and the controls, this updated dashboard does look quite nice. The gauges have also been upgraded with a set of red needles that make everything look crisper. The sporty bucket seats up front are identical to the ones that the older car used to get and are great but can feel a little cramped for a slightly larger person. That said, the CLA's biggest problem of low interior space is still pretty much as bad as it was. Slip into the almost bucket-like rear seats and even though I am only about 5'10" in height, I still have to duck down slightly due to the sloping roofline design. And just like before, the CLA still does not get rear AC vents which is a big negative in a country like India. The rear seats also feel slightly cramped and claustrophobic since the rear windows are quite narrow. In terms of the engines, the CLA still gets the same 2.2-litre diesel with 134bhp and a 2.0-litre petrol engine with 171bhp. Both engines are turbocharged 4-cylinder units and both make a respectable 300Nm of torque. Both engines are also mated to a 7-speed gearbox and a front wheel drive setup. The variant we drove was the petrol powered CLA200 in Sport trim and the sheer responsiveness of this 4 pot always manages to surprise us. Not only does the engine rev freely power delivery is almost instant, linear and with no sense of drama whatsoever. And as a bonus, the engine sounds great too. The CLA has always had a firecracker of a chassis underpinning it and we are glad that hasn't been tinkered with in any way. Throw the car into a turn and there is a ton of grip and precession and a little modulation of the throttle eliminates all possible understeer. That said, grip and handling do come at a cost and the ride quality in the CLA is still not as good as some of its contemporaries. But, Mercedes-Benz always wanted to target a young audience with the CLA and we are sure that this young audience doesn't mind that slightly uncomfortable ride quality in exchange for a dollop of fun. In addition to the standard car, Mercedes-Benz also offers something called the 'Road and Track' package for the CLA. This package includes a carbonfibre rear lip spoiler and carbonfibre rear view mirrors along with a sporty red wheel hub cover that I personally really like. You also get a set of decals which we aren't too big a fan of and as a package, the kit costs Rs 1.78 lakh. 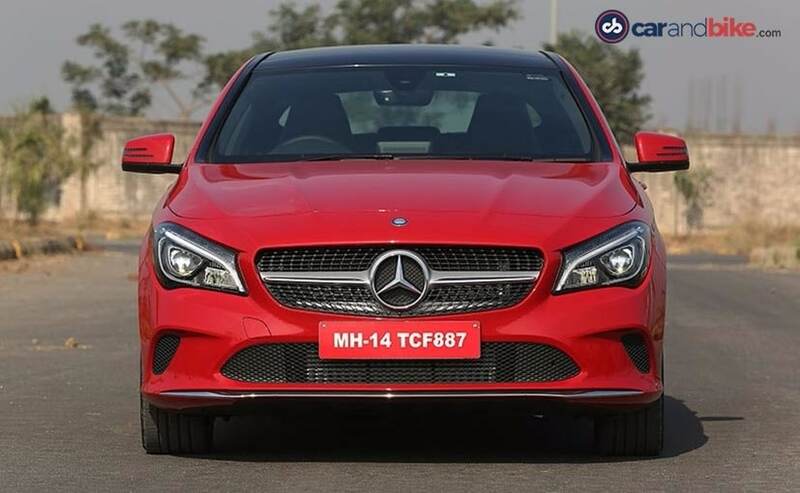 The CLA goes up against the likes of the Audi A3 in India and is available in three variants. The cheapest is the CLA200d Style at ₹ 31.40 lakh while the more expensive CLA200d Sport is priced at 34.68 lakh. 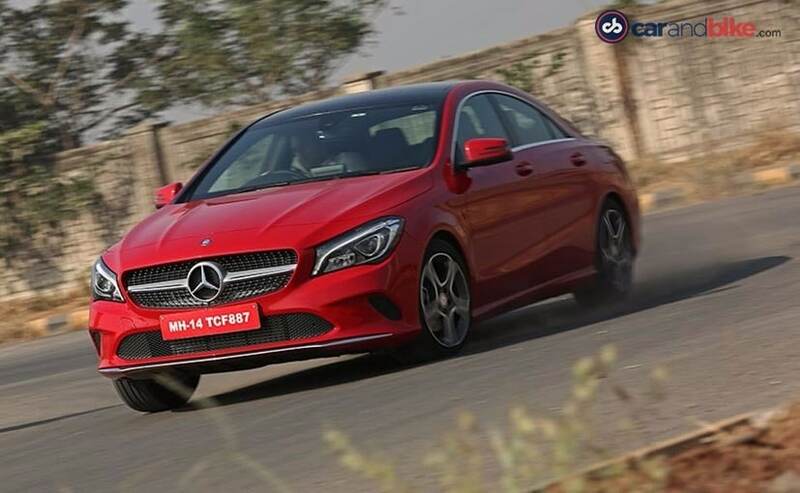 The petrol is only available in one variant as the CLA200 Sport and is priced at Rs 33.68 lakh. 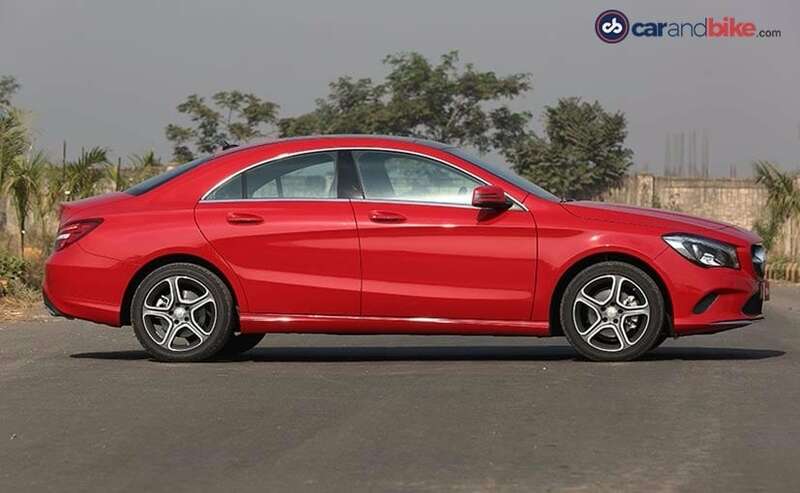 Compared to the A3 petrol, the CLA petrol is more expensive by about Rs 5 lakh. 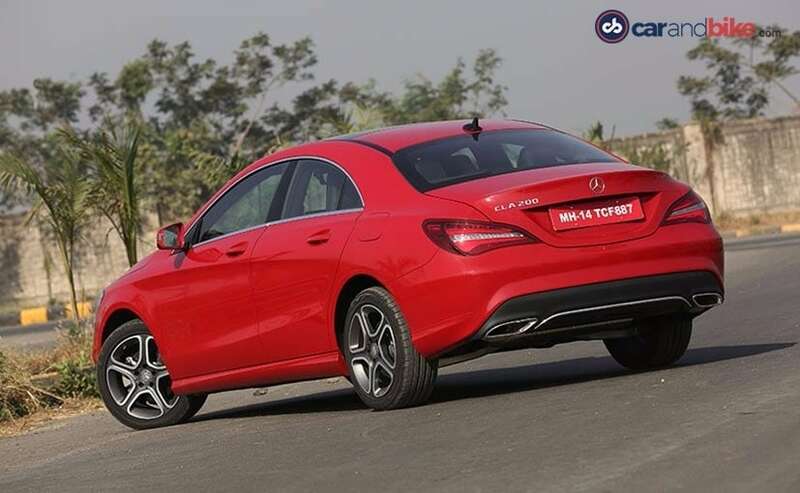 The base model diesel for the CLA is more expensive than the base model A3 by about Rs 50,000 but the top of the line CLA200d Sport is cheaper than the fully loaded A3 diesel by almost Rs 3 lakh. The Audi A3 too is about to get a major revamp with a slightly updated exterior, interior and engines. The CLA is still a very relevant car and has been quite popular in India in the last two years (almost) that is had been available. The facelifted version is still very very pretty, especially in this shade of red and has a great interior and engine package. Downsides remain the same too, less interior space, bumpy ride and a small boot. The CLA then is best suited for the young family or well, for someone who wants the Mercedes-Benz badge with the entire style factor that goes with it.